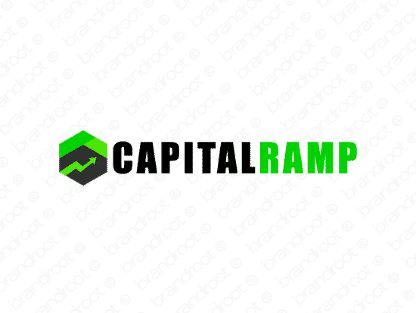 Brand capitalramp is for sale on Brandroot.com! This clever mix of "capital" and "ramp" suggests a financially savvy brand that will help your profits grow. Capitalramp is an ideal fit for a diverse array of businesses and services centered around finance, ideal for funding and investment consultancies or venture-capital groups. You will have full ownership and rights to Capitalramp.com. One of our professional Brandroot representatives will contact you and walk you through the entire transfer process.